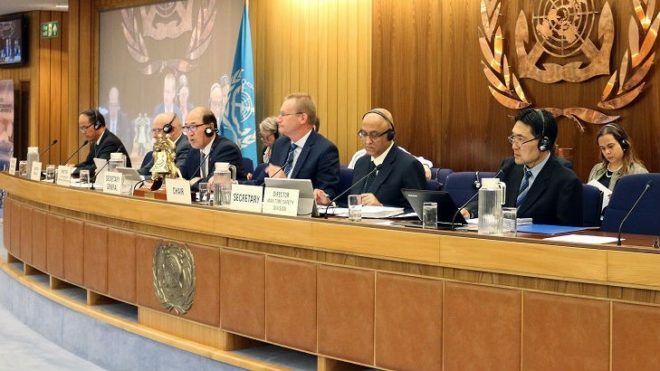 IMO’s Marine Safety Committee (MSC 98) has adopted amendments to SOLAS 2020 that raise the damage stability requirements for passenger vessels in the event of flooding caused by a collision. These changes used as a basis a series of E.U. and EMSA funded cooperative research projects conducted by academics, shipyards, ship operators, owners, classification societies and ship design consultants over several decades. The amendments raise the ‘required index R’, the damage stability requirement representing the ship’s capability to remain stable and afloat in the event of flooding after a collision. The requirement is based on a probabilistic damage stability methodology for passenger ships that was developed in the partially E.U. funded research project HARDER and mandated in SOLAS 2009. Since 1995, new IMO regulations must pass a formal safety assessment before adoption. This risk-based approach ensures that new regulations are transparent, fact-based and raise safety cost-effectively. In the partially E.U. funded research project SAFEDOR, formal safety assessments were developed for several ship types and submitted to IMO. The results indicated that damage stability requirements could be raised cost-effectively for both RoPax and cruise ships. • Draft amendments to SOLAS regulation II-2/3.56, relating to the definition of vehicle carrier and draft new SOLAS regulation II-2/20.2 on fire safety requirements for cargo spaces containing vehicles with fuel in their tanks for their own propulsion, specifically vehicles which do not use their own propulsion within the cargo space. The MSC is expected to adopt a number of new and amended ships’ routeing measures. They include the establishment of a new area to be avoided (ABTA) as an associated protective measure for the “Tubbataha Reefs Natural Park Particularly Sensitive Sea Area (PSSA) in the Sulu Sea” (the Philippines). The ABTA is linked to the proposed PSSA, which was approved in principle in 2016 and is expected to be formally designated by IMO’s Marine Environment Protection Committee (MEPC 71) in July. • Approve draft guidelines on safety during abandon ship drills using lifeboats and draft amendments to update the Guidelines for developing operation and maintenance manuals for lifeboat systems (MSC.1/Circ.1205). Both sets of guidelines have been reviewed following the adoption at MSC 96 of the requirements for maintenance, thorough examination, operational testing, overhaul and repair of lifeboats and rescue boats, launching appliances and release gear (resolution MSC.402(96)) and the related SOLAS amendments which make them mandatory. The package of requirements, expected to enter into force on January 1, 2020, aim to prevent accidents with survival craft and addresses longstanding issues such as the need for a uniform, safe and documented standard related to the servicing of these appliances, as well as the authorization, qualification and certification requirements to ensure that a reliable service is provided.